Heat oven to 375°F. Bake biscuits as directed on bag. Place on plate. Cool uncovered in refrigerator 10 minutes. In medium bowl, mix berries and powdered sugar. 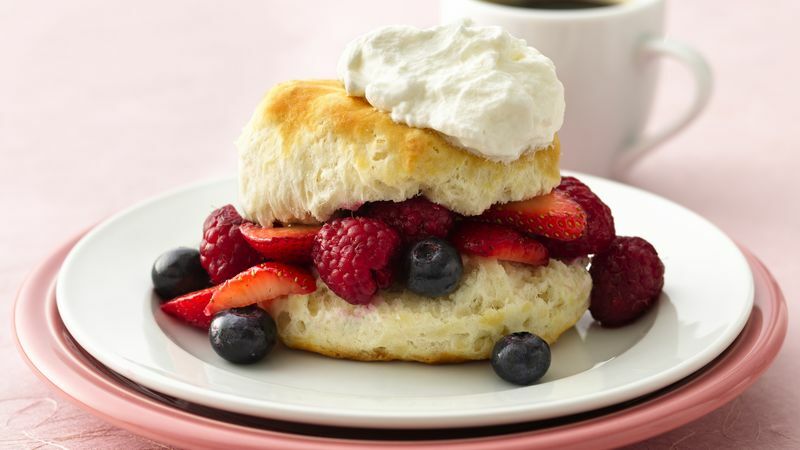 To serve, split biscuits; fill with berries. Top with whipped cream. Sprinkle the unbaked biscuits with a little sugar to make them extra-special.